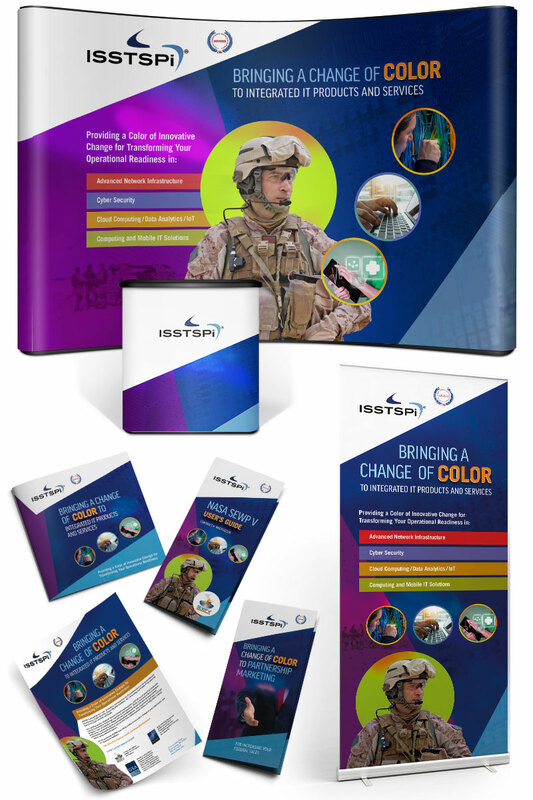 ISSTSPi, a DC metro-based government contracting company—providing services that meet the challenges of today’s federal government and rapidly changing IT requirement needs in defense, healthcare, cyber security, bio-science, administration and intelligence—wanted a powerful presence at an annual trade show. To increase their lead generation and opportunities, we created powerful imagery and messaging to convey the new approach is taking compared to their competition. This brand imagery and messaging was applied and translated across all trade show materials and included: corporate capabilities brochures, contract guides, line cards, social media platforms, trade show displays and conference support materials.